Yellow-spotted Triggerfish can grow up to 55 cm what is approximately 21 inches. So 1 specimen requires at least 6600cm2 of water surface which is approximately 1023 square inch. This species will require to be kept in a tank that is very large. (e) Medium aquariums have at least 113 Litres (30 US Gallons). Large aquariums have at least 265 Litres (70 US Gallons). Very large aquariums hold at least 700 Litres (185 US Gallons). 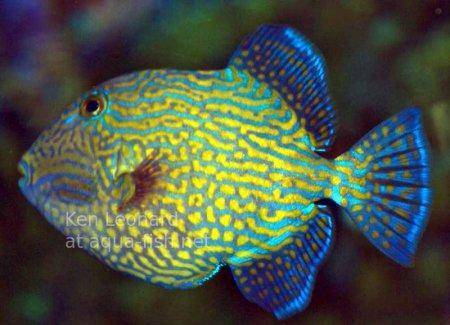 It is not very difficult to keep the Yellow-spotted Triggerfish. (e) The specific gravity (SG) should be between 1,020 and 1,025, the temperature between 23°C (73.4°F) and 26°C (78.8°F). The pH level should be stable, varying between 8.0 and 8.3 which is usual for marine fish. This triggerfish is territorial and will protect his place in the tank. It should not be in one tank with smaller fish or invertebrates, otherwise triggerfish will eat them. The best is to have this fish in a fish-only tank. However, if you want to keep this fish with other fishes, you should have a large aquarium and tank mates should be large fish too. Blue line Trigger needs to have in his tank rocks and corrals, but also sand. He use to search for food in the sand during the day, and in the evening it searches for a safe place for sleeping in the rocks. You also should be careful with placing those rocks, because this fish like to replace rocks just like it wants. When it comes to food, this fish is a carnivore, so you should feed this fish meaty food, such as fish meat, squid meat, crab meat. You should also give them crustaceans, because the hard shell helps its teeth to stay in good conditions. Pseudobalistes fuscus should be kept by experienced aquarists. Feel free to share your experiences regarding keeping Pseudobalistes fuscus below. Every message will be held for approval by our moderators. It usually takes 24 hours to publish your comment. Before you ask anything, browse the questions page, please. 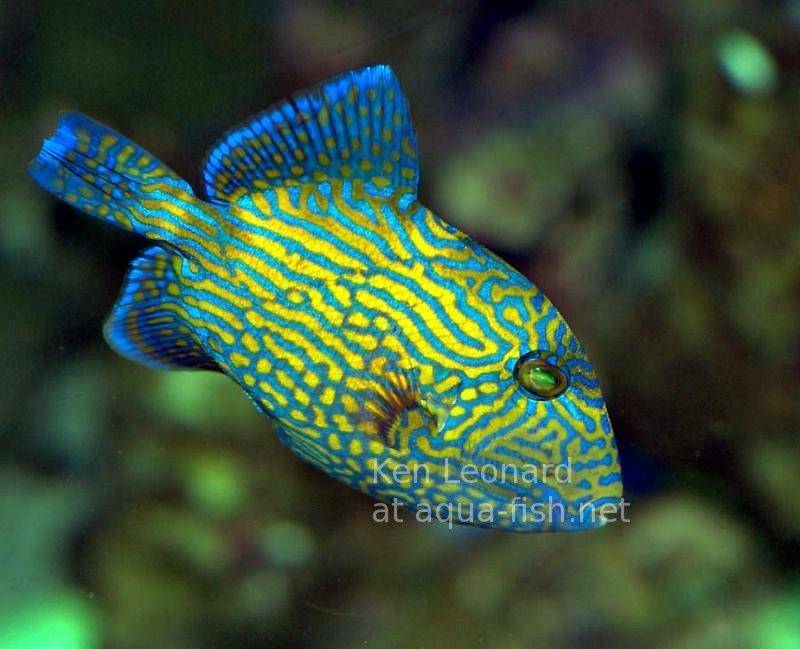 "Yellow-spotted Triggerfish." saltwater.aqua-fish.net. Fri Feb 6 2:28:21 UTC 2009. Aqua-Fish.Net. Mon Apr 22 8:04:20 UTC 2019 https://saltwater.aqua-fish.net/?yellow-spotted-triggerfish.